Today is the first day of summer in Iceland, according to the Old Icelandic calendar. 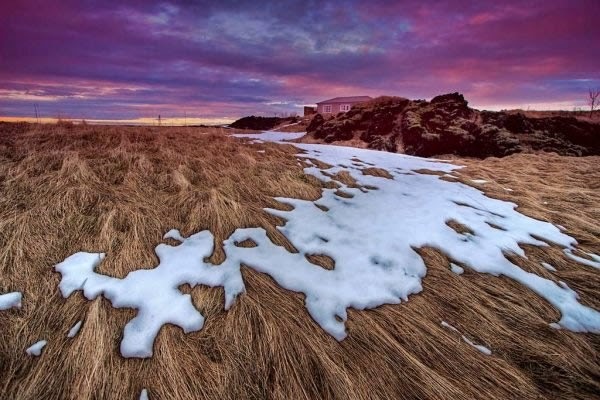 Over a thousand years after Iceland’s official conversion to Christianity, the first day of summer is still celebrated as a national holiday in the land of the sagas. This is also the day that the Ásatrúarfélagið (“Æsir Faith Fellowship,” Iceland’s Heathen organization) celebrates Sigurblót (“victory sacrifice”), one of the major Ásatrú events of the year. Þá skyldi blóta í móti vetri til árs, en at miðjum vetri blóta til gróðrar, hit þriðja at sumri, þat var sigrblót. There should be sacrifice towards winter for a good year, and in the middle of winter sacrifice for a good crop, a third in summer, that was victory sacrifice. However, victory is not necessarily incompatible with either peaceful voyages or fertility, as will be discussed below. 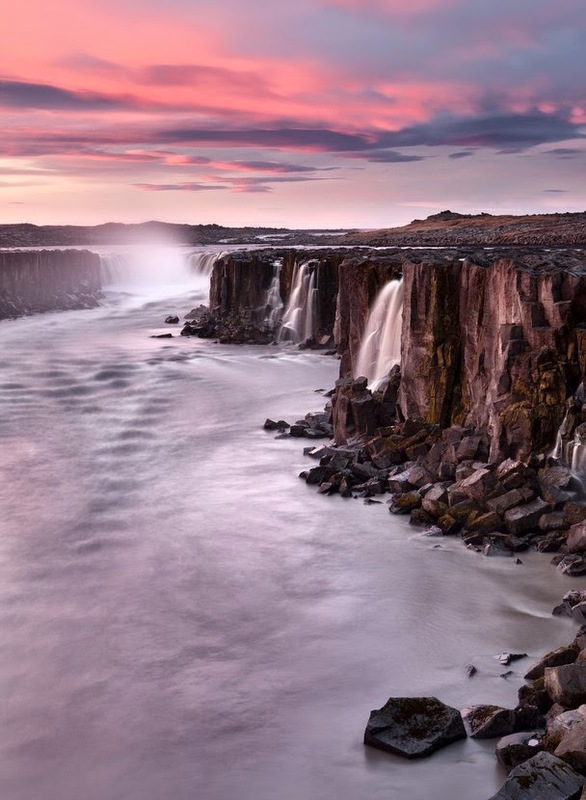 The Ásatrúarfélagið’s celebration of Sigurblót on the first day of summer is connected to both the annual event mentioned by Snorri and to an important day in the organization’s own history. On 20 April 1972, the first day of summer (a very old heathen festival day), twelve women and twelve men gathered in Reykjavík, in the tower-room of the Hotel Borg, to begin work on the foundation of the Ásatrúarfélagið. At a subsequent meeting a little later the establishment of the Ásatrúarfélagið was formally declared and Sveinbjörn [Beinteinsson] was chosen to be the head, the so-called Allsherjargoði, of this new heathen society in Iceland. For many centuries, Sigurblót was held on the first day of summer as a sort of national holiday. It is also the date of the establishment of the Ásatrúarfélagið in 1972. Vorblót [spring sacrifice] is specifically dedicated to Frey and Freya, hopes and good life and fertility of the earth. Like much of what is practiced by today’s followers of Ásatrú, this celebration combines a connection to the ancient past, to tradition, to modern life and to the Norse divinities. The word sigrblót literally means “victory sacrifice.” However, translations of the Ynglinga Saga passage as temporally far apart as those of Samuel Laing (1844) and Andy Orchard (1997) expand the word victory to “victory in battle” and “victory in war,” respectively. This editorial expansion led me to wonder how today’s members of the Ásatrúarfélagið define victory. I had a hard time imagining our Icelandic friends gathering together to raise a horn of beer to the crushing of their enemies on the battlefield. I contacted several members to ask about their thoughts on the celebration. I asked each of them, “In Ásatrú, in this modern religion in this modern age, what does victory mean to you, personally? What is the victory that you are celebrating at Sigurblót in the 21st century?” Their answers are beautiful and inspiring. 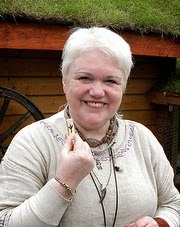 Jóhanna G. Harðardóttir is Staðgengill Allsherjargoða (“Deputy High Priestess”) of the Ásatrúarfélagið. You can read my extended 2010 interview with her by clicking here: Part 1, Part 2, Part 3, Part 4. For us, victory at this time of year is so clear. Life has won. Summer and growth are back, and life has won over death. We see tiny needles of green grass sprouting and hear the singing of the migrating birds that are back in Iceland after the long, dark winter. The children come out to play with bright smiles on their faces, and soon we will see newborn lambs and foals in the meadow. The sun melts away the last snow of the winter. That is how life wins over death. The Ásatrúarfélagið was re-established on this day, and that is also victory – life again winning. 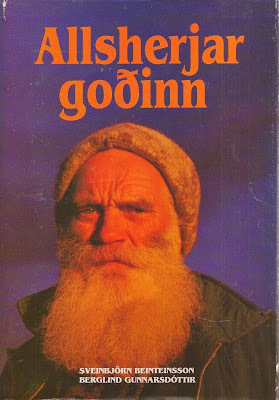 Jóhannes A. 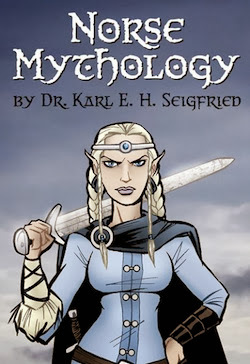 Levy is well-known to readers of The Norse Mythology Blog. He has contributed to several articles about Icelandic traditions, including the recent one about the survival of heathen traditions in rural Iceland. For me it is the victory of life and growth (of the summer) over death and stagnation (of the winter). When you live close up to the northern Arctic Circle, the coming of summer after a long and dark winter tends to have more meaning to you than to those who live more to the south. There sometimes comes a year when you feel the first day of summer should be two or three weeks later, because in some years the beginning of summer is cold and there is still snow. Iceland is not always Niceland. Lenka Kovářová is originally from the Czech Republic. After studying theology and history of religion at Charles University in Prague, she moved to Iceland in 2007 to study Old Norse religion at the University of Iceland. She has been an active member of the Ásatrúarfélagið since her move and served as a substitute member of the Ásatrú group’s lögretta (very roughly translated as “board of directors”) from 2010 to 2013. For every modern Icelander, this day is the first day of summer, and I believe that most of the Ásatrú people feel the same. Longer days means that it is finally possible to spend more time outside and do something new. Hope is in the air – the hope for new things. With that hope follows the idea of victory. Today, victory might be something small – something like everything going well during the summer or victory over our own laziness and routine. Summer vacation brings travelling and, as I have said, some new things. These new things bring risk, and therefore a wish for victory. I think that it was similar in the old days. In summer, many people went on expeditions, exploring the world. Exploring sometimes means a fight – not only with an enemy but also with yourself. Victory does not mean only to fight an enemy and win. I don’t see all Old Nordic people as furious Vikings – many of them were merchants, explorers, etc. – but they all had in common that they took the risk to do something new. With that risk the wish for victory comes, no matter who the enemy is. It can be a real enemy or our own fear. The final thing that comes to my mind is that drinking for victory means simply that winter is over and summer wins. I remember that rituals of King Winter vs. King Summer are done in some countries. The meaning of Sigurblót or victory is probably personal for each of us. None of us declares it to be the only right one, since such a concept is not in Ásatrú. No dogmas here. Haukur Dór Bragason joined the Ásatrúarfélagið in 2005. After serving on the lögretta and doing other work for the organization, he became a goði (priest) in 2010 and is now goði for the southern part of Iceland. I plan on conducting an in-depth interview with this deeply thoughtful man later this year. The word victory in victory blót is a tricky one, and it seems that some people have put a strong meaning in a concept where there probably wasn't one. First of all, sigur (same as sigr in sigrblót) doesn't necessarily mean victory. It can also stand for success, result, achievement, accomplishment, gain and advantage. Sigur- is also a common prefix in Icelandic words and names, where it doesn't necessarily stand for victory. Hail night and her offspring! and give those gathered victory! Sigr in this context clearly does not have anything to do with military victory in war or combat. Sigrdífa (a.k.a. Brynhildur) is not preparing herself and Sigurd for warfare. She's preparing those who are gathered or sitting there (sitjöndum) for sharing and learning, for giving advice and gaining knowledge. Ynglinga Saga states “Þá skyldi blóta í móti vetri til árs, en at miðjum vetri blóta til gróðrar, hit þriðja at sumri, þat var sigrblót.” The passage doesn't say anything about warfare, the departure of viking ships on raiding, or anything else that has been suggested to have something to do with sigrblót. It could be trading voyages, it could be harvest, it could be a thousand other things. 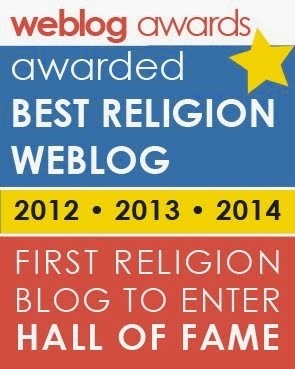 I can't see Ásatrú as a warrior religion. I see it as a religion of peace that respects all life. For me, the victory on the first day of summer (which is when we have our Sigurblót here in Iceland) is the victory over winter. As I write these lines in a cabin, the timber walls make creaking sounds because of the heavy wind outside. It's mid-April, and we have a snowstorm. The wind speed is 90 mph. When I had to go outside to tie down loose things, it was hard to just stand upright. I can't wait for winter to be over, can't wait to conquer yet another winter in a country of long and harsh winters. That's my victory in Sigurblót, and I can't even begin to imagine how that victory must have felt in the old days, when people didn't have the luxuries of modern-day life. You might think this is a bit early in the year to celebrate the first day of summer. However, the old-time Icelanders divided the year into only two seasons: winter and summer. Given the weird weather of recent years in Chicago, I’m starting to think they may have been right! I have my own hopes for victory in the coming year, but I’ll simply say thank you to Jóhanna, Jóhannes, Lenka and Haukur for sharing their insights as I raise a horn to life and peace. Thank you for your work and continuing to connect us to other parts of the world.